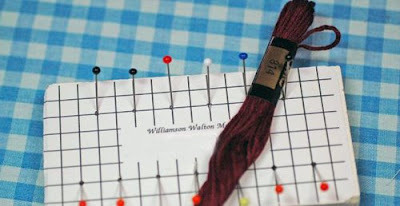 The tool comes with pins set for your first set of tassels. 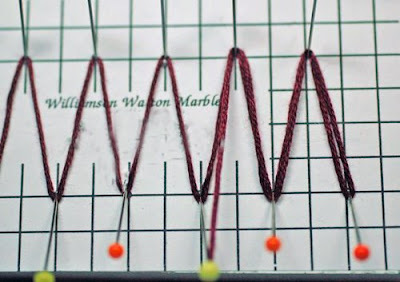 In this demonstration, I make large tassels so you can see them. 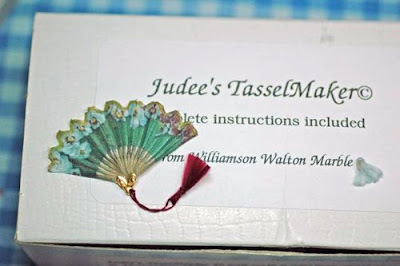 When using the tool for most of my miniature projects, I make multiple tassels tying off the tops and the bottoms. 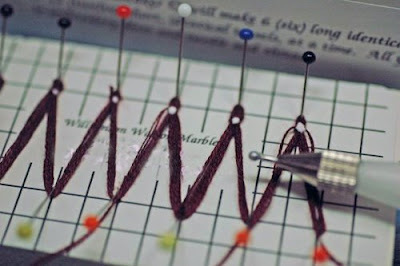 Per the instructions provided with your tool, place the separated strands over the pin to create some tension. 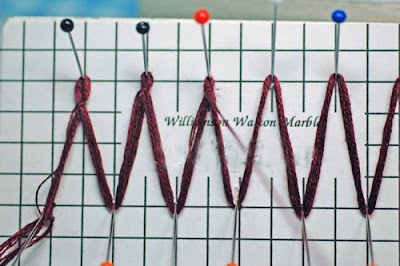 Begin passing the 6 strands over and under the pins in a serpentine manner. 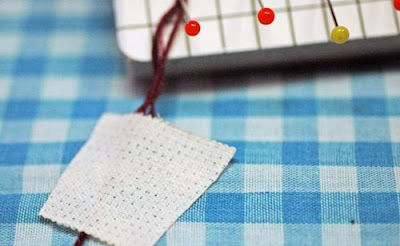 Keep good tension, but it does not have to be “tight". 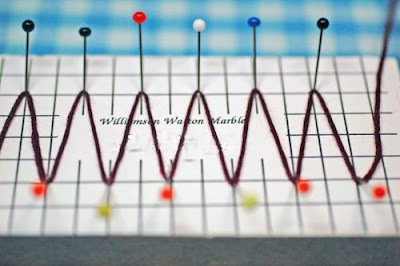 Continue to the end of the pins. 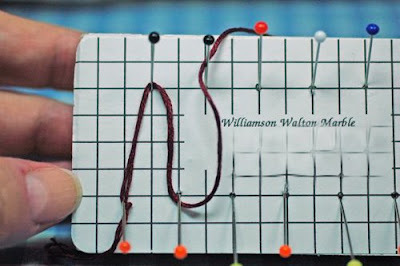 When you reach the last pin, wrap around the pin and follow the course back to starting point and the original knotted end. 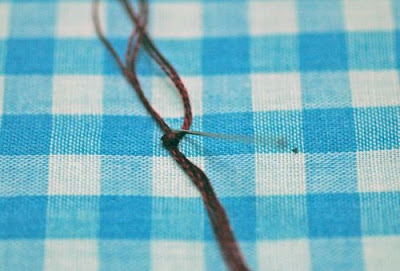 Securely tape the remaining floss to hold the tension. 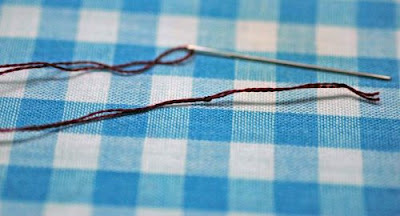 Thread a needle with one strand of floss and tie a knot. 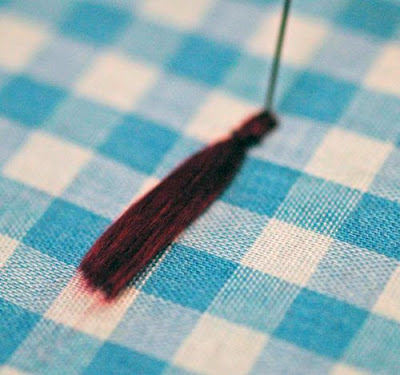 Place the knot over the pin as you did with the original knot, proceed up to the first pin and tie a surgeons knot(*see below) over the floss. 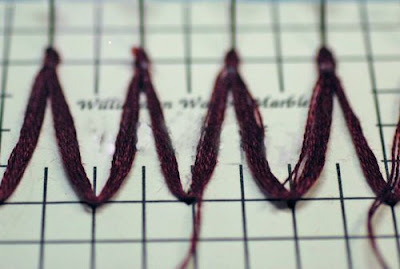 This will join two sides of each loop. 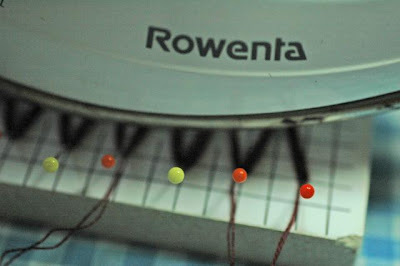 Place a dot of glue on each knot to secure it. Steam the floss and let it cool. 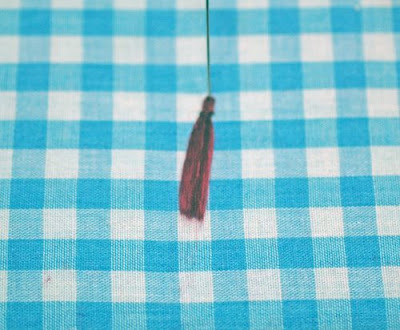 Cut away the bottom edge of the tassels longer than your desired finished size. Comb (a lot) the threads until they begin to fray. Keep combing until they shine and are satiny. 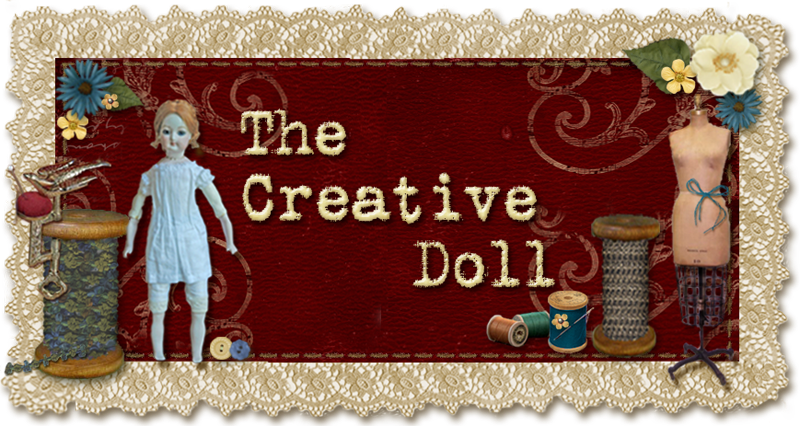 Here is a picture of a doll I made using the silk thread. The tassels are on her boots.